Anesthesiologists are doctors or advanced practice nurses who specialize in the delivery of medications and medical approaches to control pain. While many people may believe that anesthesiology is just for “putting people to sleep” for surgery, anesthesiologists are responsible for much more including preoperative patient assessments, determining the best anesthesia for the patient and caring for the patient as they wake up or recover from anesthetic medications. Anesthesiologists are medical doctors and may be certified in areas that include obstetrics, pediatrics or pain management. Extensive educational time is required for anesthesiology and pay is high—averaging about $240,000 per year. 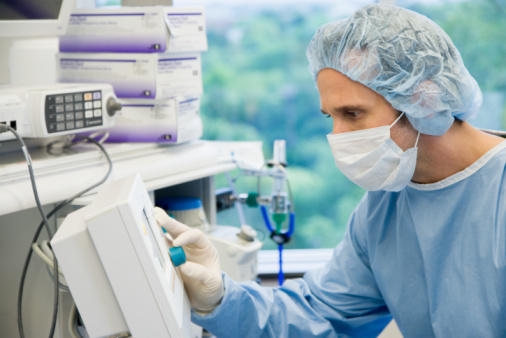 What duties does an Anesthesiologist have? Anesthesiologists are responsible for selecting the proper medication for pain relief during surgery, childbirth, or for chronic pain management, and then administering that medication safely. This means every anesthesiologist must take a thorough patient history and complete a physical assessment before each procedure. He or she will deliver the safest medication for the patient and oversee them while the medication is working—either on a short or long term basis—and monitor their health as the medications leave the body. They may also help control pain after a surgical procedure or may specialize in pain control medical conditions like chronic or cancer pain. Anesthesiologists work in a variety of settings including hospitals, private physician offices, clinics, outpatient surgical centers or in academic or medical institutions teaching upcoming anesthesiology students. What qualities does a great Anesthesiologist have? An anesthesiologist’s duties can be stressful and demanding. A good anesthesiologist has the ability to balance a busy patient load and many demands while delivering solid assessment and critical thinking skills. During a procedure, he or she should be able to multi-task as they monitor vital signs, existing medical conditions and overall physical status and adjust treatments as needed. The voice of the anesthesiologist may be the first and last voice a patient hears as they come in and out of anesthesia so it is important for the anesthesiologist to have good people skills and the ability to reassure patients during stressful situations. Anesthesiologists are members of a team caring for a patient, so being able to work well with other medical personnel is essential. Becoming an anesthesiologist takes at least eight years of school after undergrad training is completed. With so much time and money invested, it is good to consider some of the pros and cons before you enroll. Treating a variety of patients. Unless you specialize in only one area, you can expect to care for a wide variety of patients, ages, and medical conditions in one day. Instant gratification. Controlling the body’s functions with medication is a quick process. Many anesthesiologists enjoy the instant gratification that comes from seeing a medication take effect and control the body’s processes in just a few moments. Fewer complications. While anesthesia can have its own risks, they tend to be less than those faced by surgeons or other medical doctors. Schedule flexibility. Because anesthesiologists hold very similar skill sets, it is easy to have a colleague fill in for you on routine procedures when you need to be off without disrupting everyone’s surgical schedule. Poor continuity of care. Thanks to anesthesia, most of your patients will not remember you or know who you are later, and you may not know how they did or felt after they left the recovery room or were sent home. Follow up is a challenge many anesthesiologists are working to improve. Unpredictable schedules. A steady workday is challenging when you consider the add-on patients, the emergencies and the scheduled cases. This means you have very little control over how long your day lasts. Call routines may bring you in at odd hours to care for patients or force you to stay over for extended periods—a fact that many older anesthesiologists do not enjoy. Less negotiating power. Unlike physicians who bring money to a hospital by admitting patients for care, most anesthesiologists don’t have their own patients and can’t offer a facility this gain or loss. So when it comes time to negotiate salaries or other benefits, anesthesiologists have very little to bargain with. Anesthesiology is a respected field of medicine. With that comes a significant amount of responsibility and training. The path to anesthesiology begins with four years of undergraduate education. A specific medical major isn’t necessary, but most students will major in biology or chemistry or as a “pre-med” major and take classes in chemistry, physics, biology, and English. After the bachelor’s degree is completed, there are four years of medical school. If the student passes these classes, he or she will be an M.D. or D.O. depending on the program they complete. Next is a four-year residency in anesthesiology. The first year is a general internship followed by three years of residency. In order to sit for the board certification exam, students must complete at least four years in a residency program. Some students complete a fifth year as a fellow—this allows for additional training and specialization in a specific field of anesthesiology like pediatrics, obstetrics or cardiac. Every anesthesiologist must pass national certification examinations in order to practice. Each state also has their own set of practice requirements that must be met or maintained for the anesthesiologist to treat patients. In case you lost track, that’s about 16 years of school! Anesthesiology salaries are among the highest in the medical field. According to the Bureau of Labor Statistics, anesthesiologists average about $234,000 per year, or just over $100 an hour. 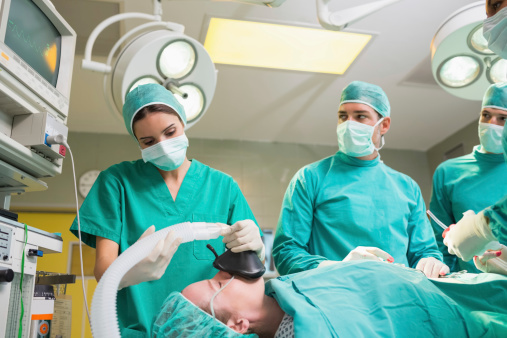 Some of the most experienced and specialized anesthesiologists can make significantly more. Salary figures will vary depending on work environment, geographic location and years of experience. Anesthesiology is a unique, specified field of medicine. To become an anesthesiologist, you must have a medical degree from an accredited medical school, but there’s a new face of pain control specialist reaching today’s market as well. The Certified Registered Nurse Anesthetist (CRNA). CRNAs are registered nurses who have completed a master’s degree and a few years of additional education to provide patient assessment, pain control, and recovery services to patients in much the same way as anesthesiologists. CRNAs are staffing more and more medical facilities across the U.S. and provide nearly identical pain control services. However, their presence has not been without resistance as the medical and nursing communities continue to debate scope of practice and skill set of the group. The field of anesthesiology is expected to grow as it follows the country’s rising need for quality medical providers. 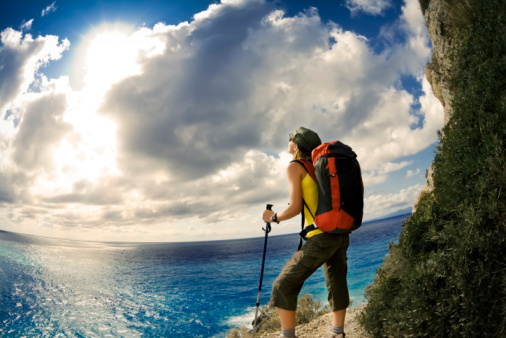 With this growth comes new jobs and new opportunities to travel as a locum tenens anesthesiologist. Locum tenens opportunities pave the way to new experiences and the chance to work in some of the country’s best medical facilities. 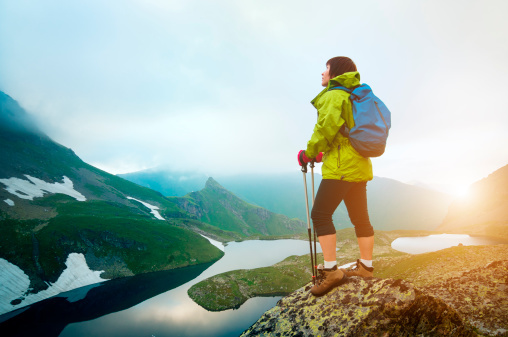 With perks that include paid travel, housing, and living expenses plus higher than average pay, locum tenens anesthesiologists can take short (just a few weeks) assignments or longer jobs (several months) in the setting of their choice. Anesthesiologists who accept locum tenens work should have solid medical skills, a positive attitude, and flexibility. Working in a new place with new people can be intimidating or exciting—get started today!